With a new casino planning to make its home in the area, residents are concerned about the potential impact on drunk driving car accidents in Milford. According to The Metro West Daily News, casinos increase the risks of these deadly accidents. Foxwoods wants to build a resort casino in Milford that would be open 24 hours a day, 365 days a year, attracting approximately 7 million people each year. In Ledyard, Connecticut, another Foxwoods casino is being blamed for a near 3 percent increase in the number of drunk driving accidents each year since the casino opened. And that city has about 10,000 fewer people than Milford. The city has a drunk driving rate more than 50 percent higher than the county, which might not be surprising consider the casino’s around-the-clock schedule. 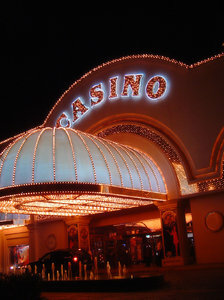 Our Milford accident lawyers understand that casinos present greater risk for all travelers. This includes children. In Milford, there are 15 schools and close to 20 childcare centers within a 4-mile radius of the casino. Casinos have been introduced throughout the U.S. to spur economic development and generate tax revenue. Yet, casinos may also be associated with a variety of social ills. One issue that has not been empirically tested in the literature is whether there is a link between casino expansion and alcohol-related fatal traffic accidents. In other areas, like Lincoln, California, the construction of the Thunder Valley Casino brought a more than 90 percent increase in the number of traffic accidents in the area, and the number of arrests for alcohol- and drug-related charges skyrocketed more than 600 percent. The Milford Patch reports that you can submit your opinion on the Milford casino issue. And if you’d like to help even more, you can visit Casino-Free Milford. In American society many partake in these two addictive past times – alcohol and gambling. While the bartender is considered responsible for over serving the inebriated alcoholic, the casino has never been held responsible for the broke gambler. Regardless of a casino locating locally, there are still drivers who are going to consume alcohol and get behind the wheel. According to Mothers Against Drunk Driving (MADD), there were 114 people who were killed in the state of Massachusetts in drunk driving accidents last year. These fatalities accounted for more than a third of all traffic fatalities recorded throughout the year. Throughout the year, taxpayer subsidy of drunk driving fatalities racked up a bill of close to $800 million. If you see someone on our roads who you believe is under the influence of alcohol, step in and help. Reporting drunk drivers helps officials catch offenders. Research suggests that the average first-time DUI offender has driven drunk on multiple occasions before getting caught for the first time. Unfortunately, there’s a great chance that if a driver seems like they are driving under the influence, he or she probably is.